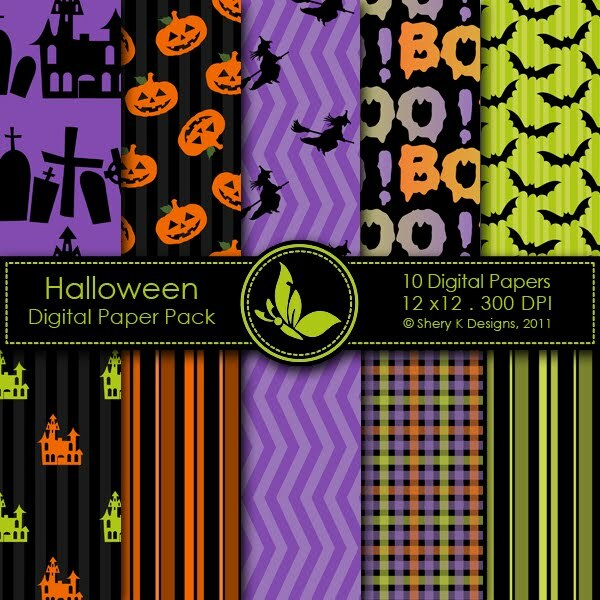 Free 10 Scrapbooking Digital Papers Halloween. This listing is for 10 printable High Quality Digital papers. Each paper measures 12 x 12 inch, 300 DPI, JPEG format. Great for scrapbooking, making cards, invitations, tags and photographers. I love all of your MTC program designs. I have owned this MTC for over a year and still cannot use it to its full potential. Your work really helps me to change up my layouts and to try to learn again how to work the program. I also love your digi stamps. I started to use them about 2 months ago and now I cannot get enough. I am able to use my coloring skills in my scrapbook as well as on cards. I really feel blessed to have stumbled upon your blog. I am strapped on cash, but using all my own goodies (and all the freebies you provide) I am able to impress the socks off my family. Thank you for helping me do that. If I could make but 1 request? I would love to see a MTC on how to make layers of paper flowers. I hope you read this, because I really do wish to tell you how much I appreciate everything that you offer! omg!! These are Awesome!!! Thank You very much! !